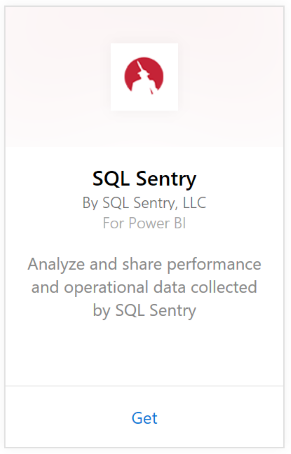 Analyzing your performance data collected by SQL Sentry is easy with Power BI. Power BI retrieves your data, then builds a default dashboard and related reports based on that data. 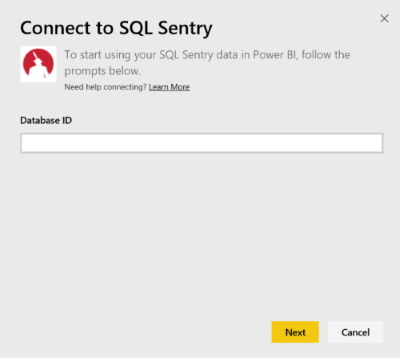 Connect to the SQL Sentry content pack for Power BI. Access to a SQL Sentry account you use for connecting to http://cloud.sqlsentry.com and a Database ID you will monitor is required to connect. Instructions for where to find the Database ID are below. Select SQL Sentry > Get. Provide the Database ID of the database you’d like to monitor in Power BI. See more details on finding this below. 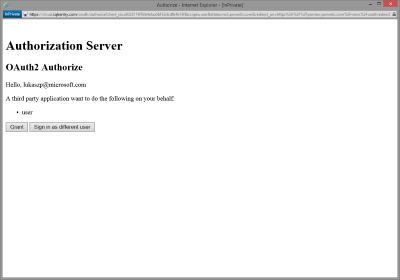 For Authentication Method, select oAuth2 > Sign In. 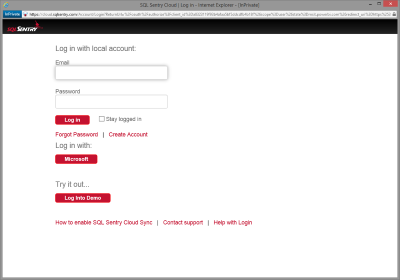 When prompted, enter your cloud.sqlsentry.com credentials and follow the SQL Sentry authentication process. The first time you connect, Power BI prompts you to allow read-only access to your account. Select Grant to begin the import process. The import process can take a few minutes depending on the volume of data in your account. 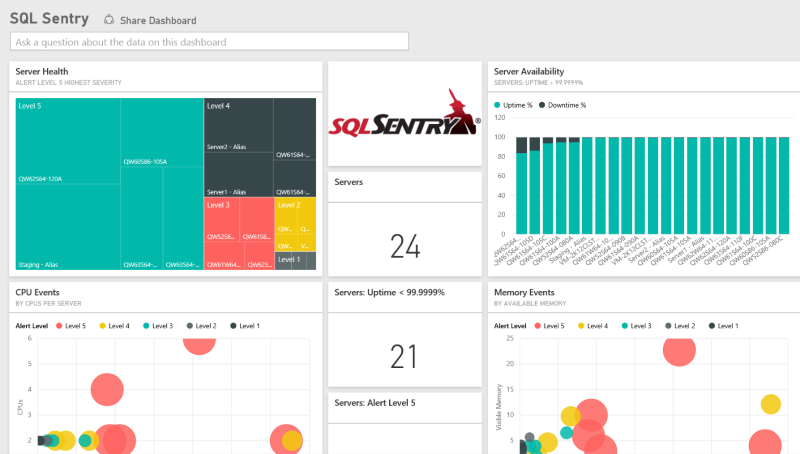 Select the SQL Sentry dashboard. This is the default dashboard that Power BI creates to display your data. You can modify this dashboard to display your data in any way you want. Connection This table provides information about your SQL Sentry defined connections. This table contains dates from today back to the earliest date from which performance data was collected and retained. This table contains information related to your downtime and uptime for each server that is monitored in your environment. This table contains data about how much memory is available or free in each of your servers. This table contains records for each server in your environment. This table contains data for all the events generated by custom conditions in your environment, including severity and count. If data from some of your apps is not showing up in Power BI, check to make sure that you are using the correct Database ID and that you have the authority to view the data. If you are not the owner if the SQL Sentry database that is being synchronized to https://cloud.sqlsentry.com, please contact your administrator to make sure you have rights to view the collected data.